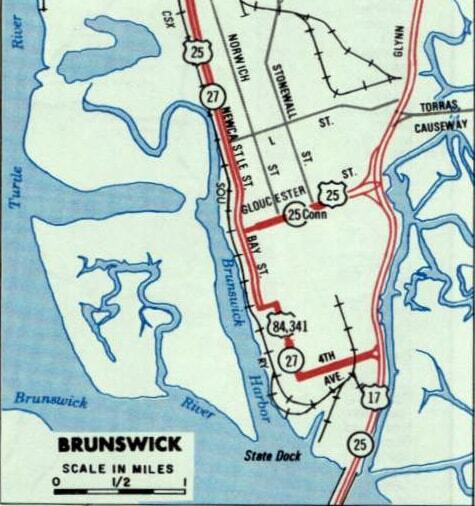 The I-95 corridor through Glynn County Georgia is essentially a straight shot, running parallel to the Golden Isles along the coast, and bypassing central Brunswick to the north and west. 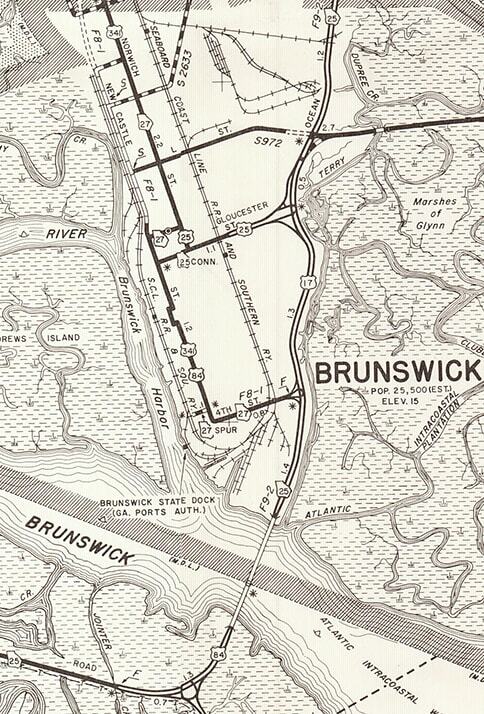 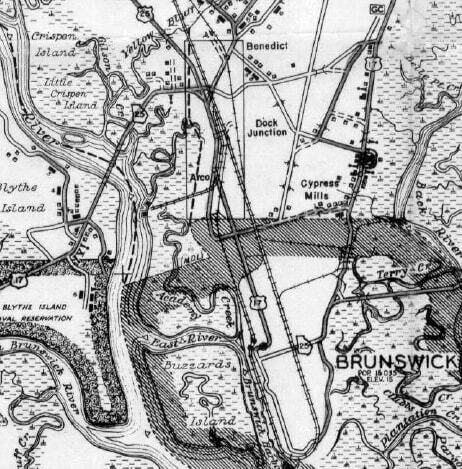 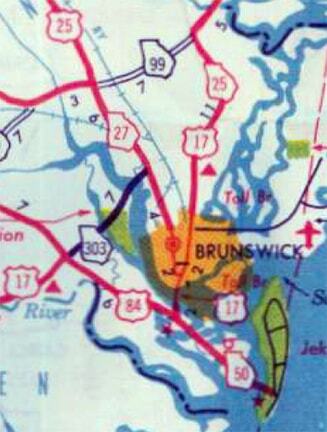 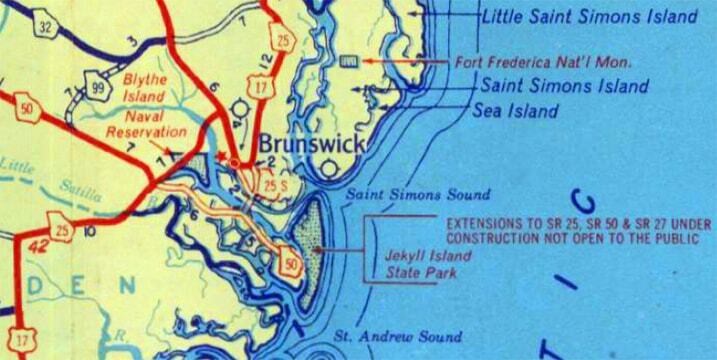 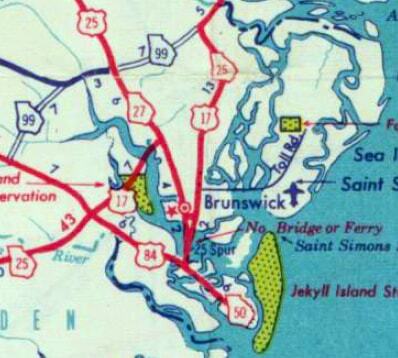 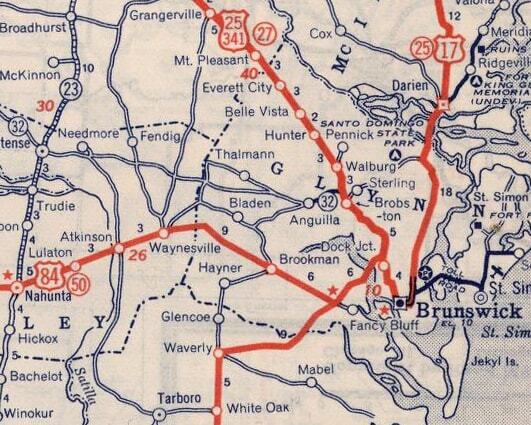 But US 17 (the predecessor of I-95) has always followed a more complex route through the Brunswick area. 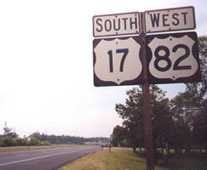 The endpoints of the other US highways in this region (US 25, US 82, US 84, and US 341) have always been dependent on the route of US 17 and/or I-95. 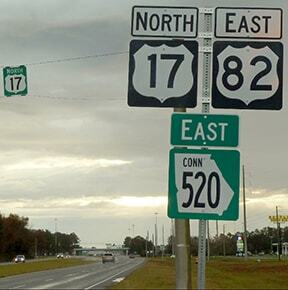 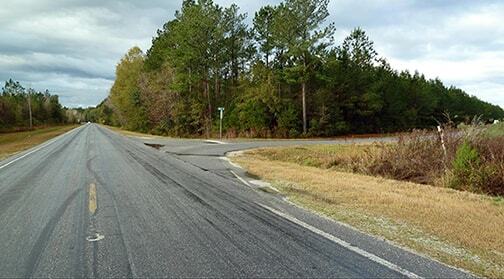 US 25 and US 341 were extended south on Norwich for an additional three miles, but at "G" St the routes diverged. 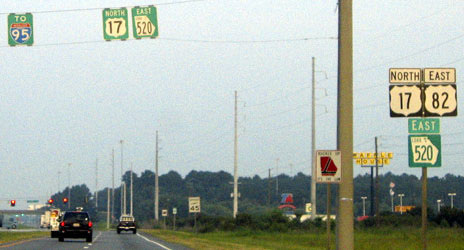 US 25 traffic stayed on Norwich for another two blocks, then turned east on former US 17 (Gloucester), ending at its junction with current US 17 (Glynn). 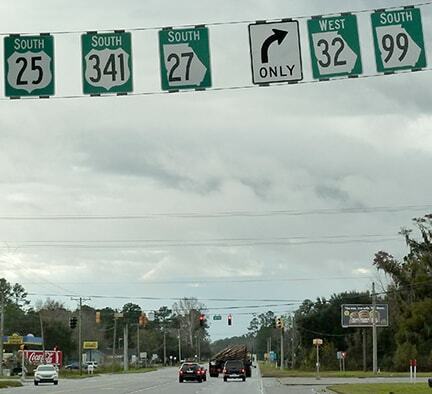 Meanwhile US 341 followed a different segment of old US 17 for a few blocks: traffic was directed to turn west on "G" past the courthouse, then south on Newcastle. 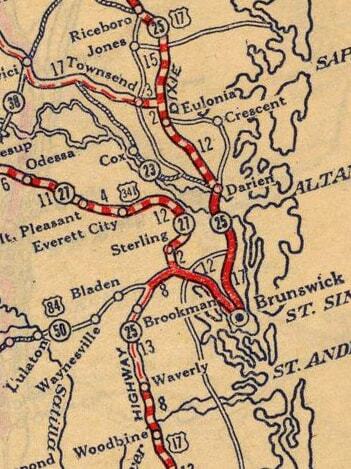 The route continued past Gloucester for several blocks, including a jog around the west side of Hanover Park. 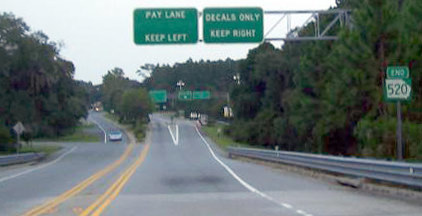 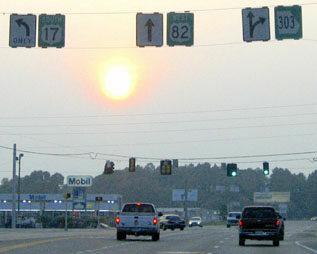 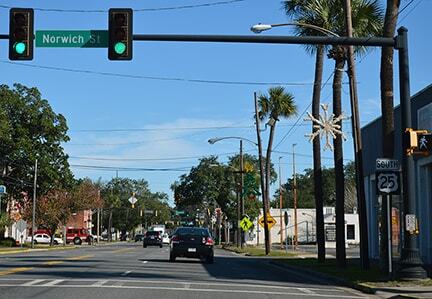 At 4th Street, traffic was directed east, and (like US 25) the US 341 designation also ended at its junction with US 17. 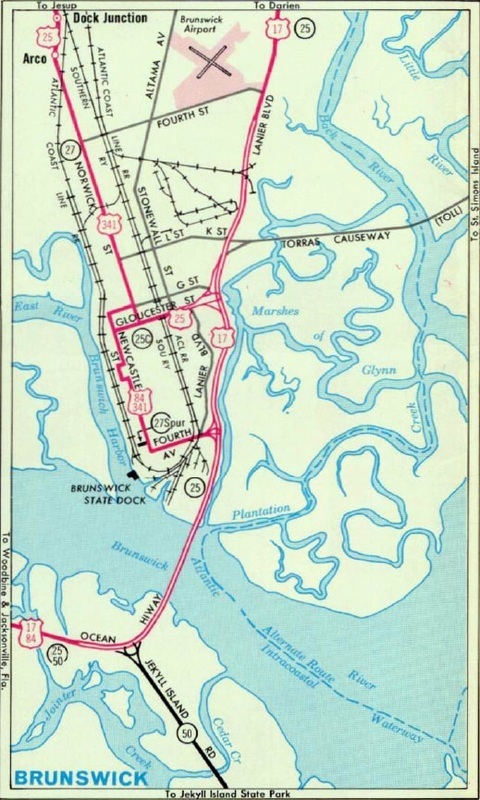 Since then, although the routings for both US 25 and US 341 have changed slightly, their endpoints remain the same to this day (see the main pages for US 25 and US 341). 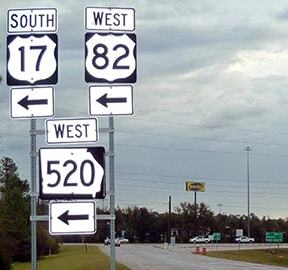 This was northbound US 25. 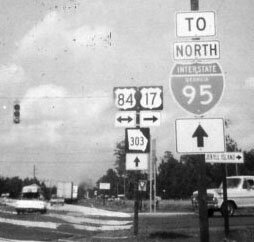 It still is, but whereas today that route continues straight ahead, in 1956 US 25 continued by turning right on Norwich, and straight ahead was the east beginning of US 84. 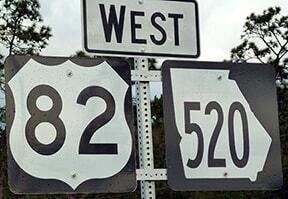 That was never the official endpoint of US 84, but it may have been its signed endpoint during the 1980s.